MKVEXtractGUI is a graphical user interface for MKVToolnix. 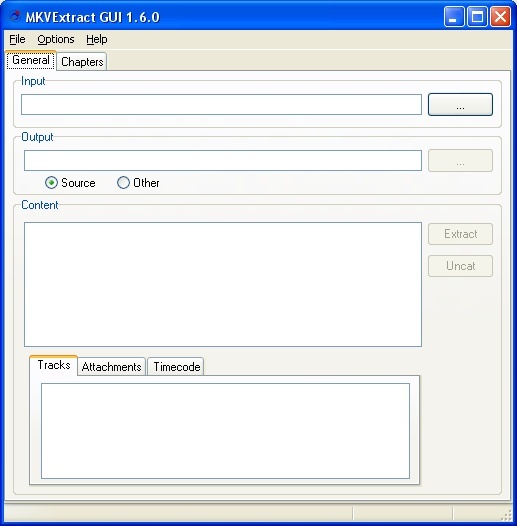 MKVextractGUI provide the video, audio, subtitles, attachments, chapters division and tags demuxing. Chapters list can be demuxed in .xml (matroska) format or .txt simple text (like OGM format). There's a new tool called MKVExtractGUI-2 that's based on this one with further improvements. Fix a bug for large font.